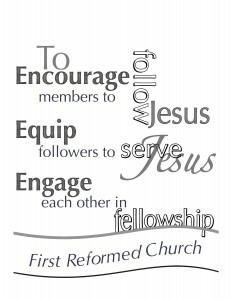 First Reformed Church was established in 1951. We are founded on the simple truth that Jesus Christ is our Lord and Saviour. We are a congregation of the Reformed Church in America, the oldest continuous Protestant denomination in North America. Our services follow a traditional form with modern upbeat messages. Traditional hymns are sung to the majestic sound of a pipe organ, and modern praise songs are sung with the aid our praise team. You will find us to be a warm and welcoming community of believers of all ages. Worship services are on Sunday mornings at 10:30. We hope to see you there! Each week Pastor Art speaks from the Word to your heart. Our current theme is “To encourage, equip and engage members as they follow Jesus”. 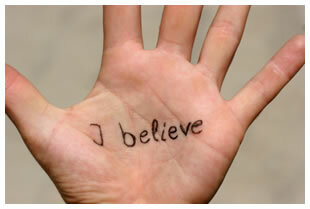 We believe the bible to be the Word of God and the final authority for faith and life. We believe that Jesus died a substitutionary, atoning death upon the cross at Calvary and that He arose bodily from death on the third day. We believe that salvation is by grace alone, through faith alone, in Christ alone. We believe that no one can come to the Father, but by Christ. We believe all glory and praise is due to the One Eternal God, the Father, the Son, and Holy Spirit. The Reformed Church in America is a missions minded Church. Our local congregation contributes to local ministries, such as, Niagara Life Centre, Bethlehem Place, Turning Point Girls Home, Christmas Shoe Box Program (Operation Christmas Child), and many more. We have also been blessed in being able to support the work of two exciting, vital new Spanish speaking congregations in Toronto, as well as supporting a summer camp program at Camp Shalom (Countryside Conference Centre) in Cambridge, Ontario. Our congregation sustains mission efforts through financial support and the promotion of visits from missionaries.